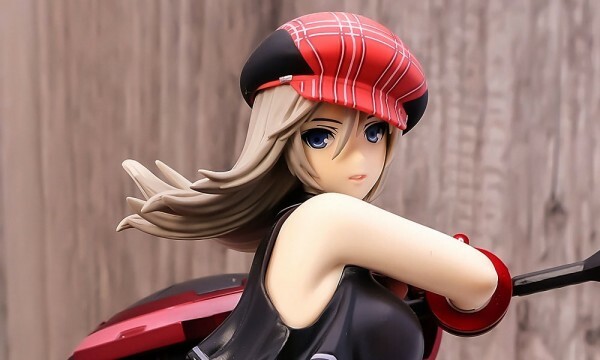 Alter is going to release this very nice 1/8 figure rendition of Naoe Kanetsugu, their new entry in their Hyakka Ryoran aka “Samurai Girls” figure line. Figure is approximately 225mm tall (including her weapon). It will be released January 2012 for ¥8,800. From the 40th anniversary Monthly HobbyJAPAN project “Hyakka Ryoran” is “Naoe Kanetsugu” joining its lineup! She’s the user of “Naoe style battle technique” using a beetle bigger than its self! Powerful but a little bit clumsy Naoe is sculpted with an attractive smile. Her softly waving twin tails and a big sized beetle held in her hand brings out motion! It can also be displayed with beetle’s chain part removed.